See how it settles in the bottle? It's like Northern Lights topcoat, the more you shake it, the more dense the glitter will be. It's a white gold flake and pearlescent powder suspended in a thin liquid. Enlarge this to see the detail in the shimmer. It has a white shimmery pearly base with light gold flakes that reflect green at certain angles. Here it is fully shaken, one drop's worth, blended on bare skin. 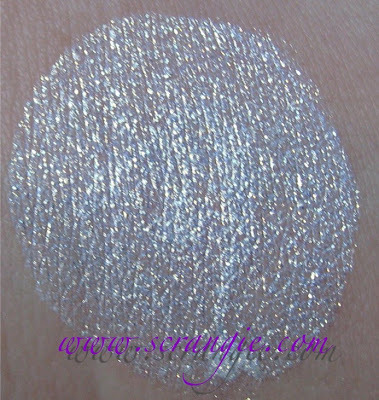 You can see that the base is very white and has lots of glimmering gold flecks of glitter (it's smooth glitter, not rough or chunky, it's more like flakes) with subtle greenish reflection. To make eyeliner out of shadow, or to use over liner. Here I used it over black shadow as liner. You can see that it makes the black appear green and gives it a subtle sparkle metallic effect. 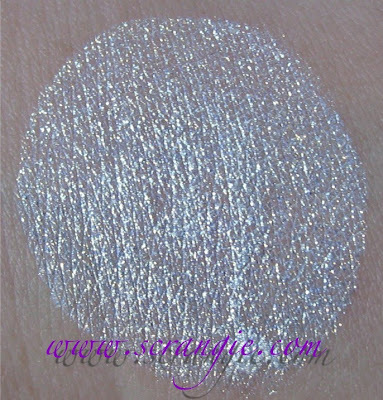 The liquid can also be mixed with loose pigment to make a shimmery liner instead of layering it like I did. 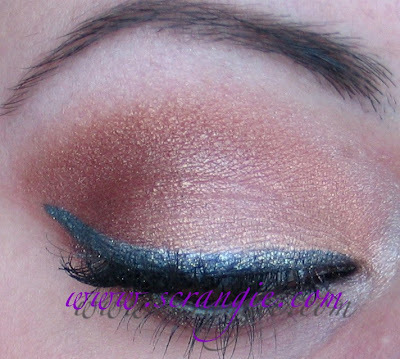 Here I layered it over my existing shadow to change the look. In this instance, I tried it just barely shaken and gently patted on the eyelid only. I wanted to see how subtle you could make it. 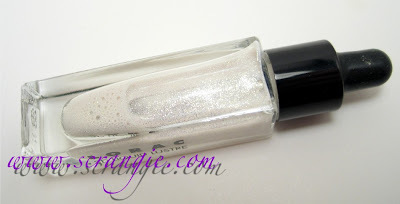 If you shake it more, it adds a white-gold cast to whatever you layer it over, but if you shake it less, it's more sheer and you get more of a sparkly veil than a dense white-gold topcoat. It is quite easy to use, but can be a little awkward. The dropper is good for dispensing an appropriate amount of product, but the fact that it's such a thin liquid can be troublesome. It can run and drip if you're not careful. I find that just placing a drop on the back of my hand and using my fingertip to apply it is the least messy way. You can use a brush, but the brush tends to soak up the liquid part too quickly and makes the shimmer a little clumpy. It also dries very fast, so you have to work quickly if you're using it for liner. 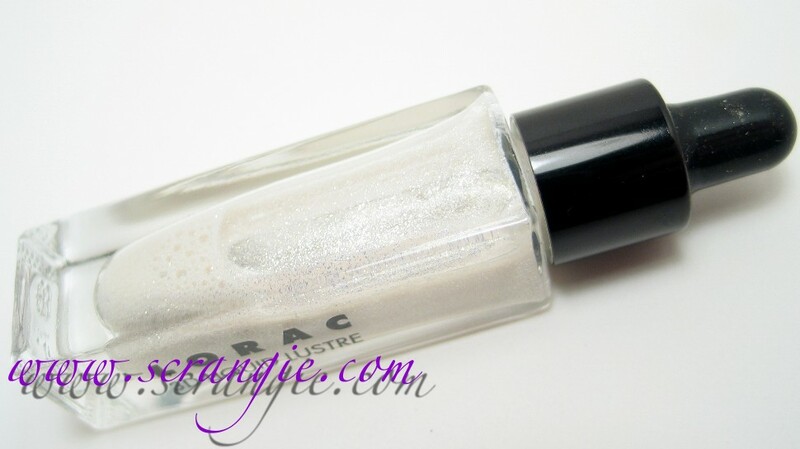 The fast drying formula is really nice, though, because you don't have to worry about the glitter transferring or creasing while it dries like you do with glitter gel. After using it a few times, I have found two flaws with the 3D Liquid Lustre. The first one may not be so much of a flaw as it is a misunderstanding on my part. It's not very iridescent or duochrome or '3D' like I assumed it would be. Yes, there's a slight green flash, but I had honestly expected something a little more dimensional. The second flaw is in the packaging. The tube is small and long, you have to remove the cap to use it and the liquid inside is very watery. If you knock over this tiny, awkward tube while using it, you're going to lose all the liquid inside! And it's pretty easy to knock over because of the glass dropper and the light weight and tall shape of the tube. You have to be very conscious of yourself while the tube is open, one stray motion of the hand and you'll be covered in shiny gold fluid! But, other than the precarious packaging choice, the 3D Liquid Lustre is a pretty fun item. It allows you to add glitter and sparkle with zero fallout so you can transform your eyeshadow look from matte to glittery in seconds. 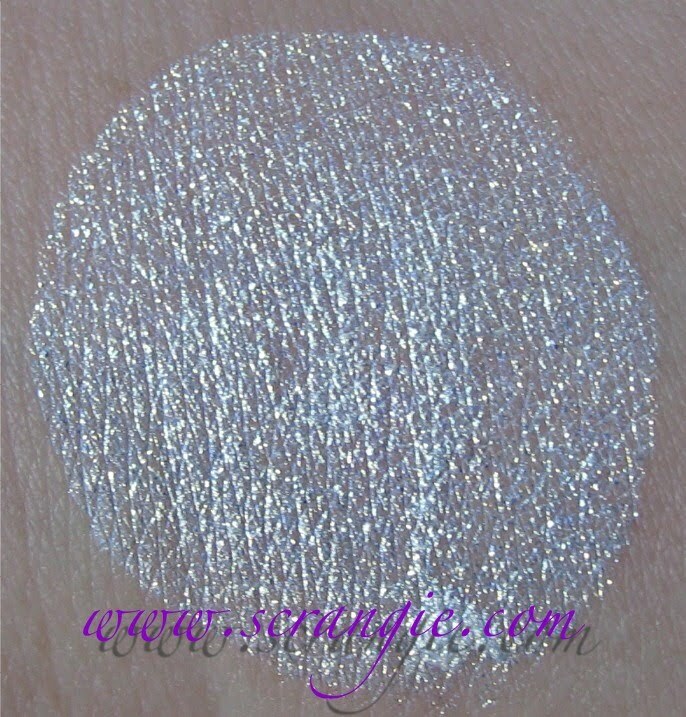 You could also use this to add a highlight on the skin, which may look especially cool if you're into dramatic or theatrical looks- I can see it being really fairy-like applied on the cheekbones and around the temples. Or, maybe a little dab of it on the center of the bottom lip? Has anyone else tried this? I want to know what you did with it! I'm still trying to think of ways to use this. I was excited about this when I heard about all the Lorac spring goodness- but had to pass when I played with it in the store because it throws mostly white. Too frosty. :( If it were more prismatic I would totally be on board. I had the same thoughts about the packaging. The dropper aspect is fun, but not entirely functional? 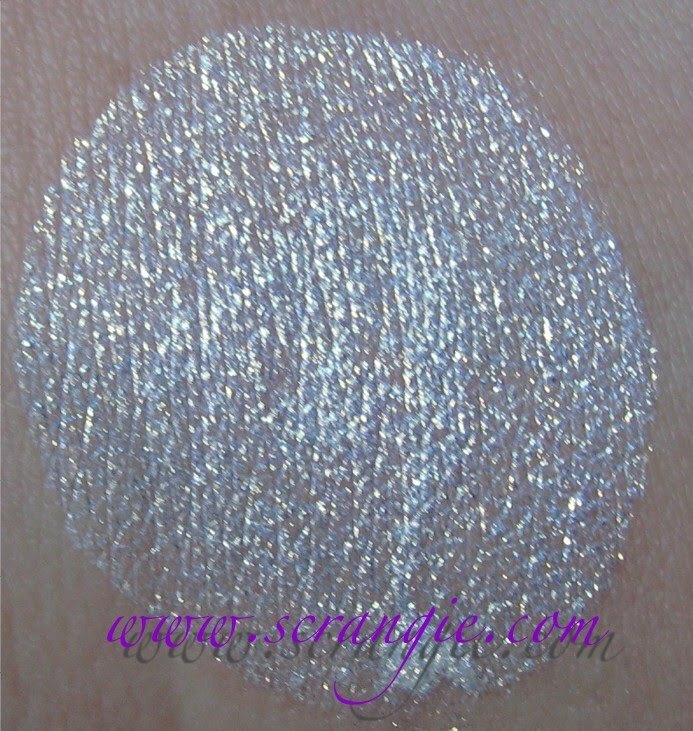 I tend to wear very dark eyeshadows, and I love anything that sparkles so this is perfect for me. It's definitely very dense if you shake it up too much, but I love the fact that such a small amount goes a long way, and I can add sparkle with out any creasing or fall out, and because i'm wearing such dark colors the fact that it lightens it up a bit doesn't bother me. This reminds me of blue liquid eye tint by Awake I got at bath and body works years ago, but that doesn't work with as many eyeshadow colors and is only for eyes. Overall I'm really pleased with the liquid lustre. At first I thought it was kind of expensive for such a small amount (and i'm not one to spend conservatively when it comes to cosmetics) but after trying it I realize it's going to last a long time unless of course I spill it. on a side note, I tested out a little on my cheekbones and my boyfriend said it made me look like a fairy. Kinda neat but I think I'd pass up something like this at the store.. I have enough shimmery things I don't need to make more with something like this. Wow! I REALLY want this now! tI'm thinking this is the strongest lemming I've had in a good long time!!! :) Love shimmer, love eyeliner, love Lorac! Great comparison to Northern Lights Top Coat, makes total sense and I feel like I know much more what to expect if (who am I kidding - WHEN!) I purchase. Interesting product, but I've GOTTA know what your eye combination is here! 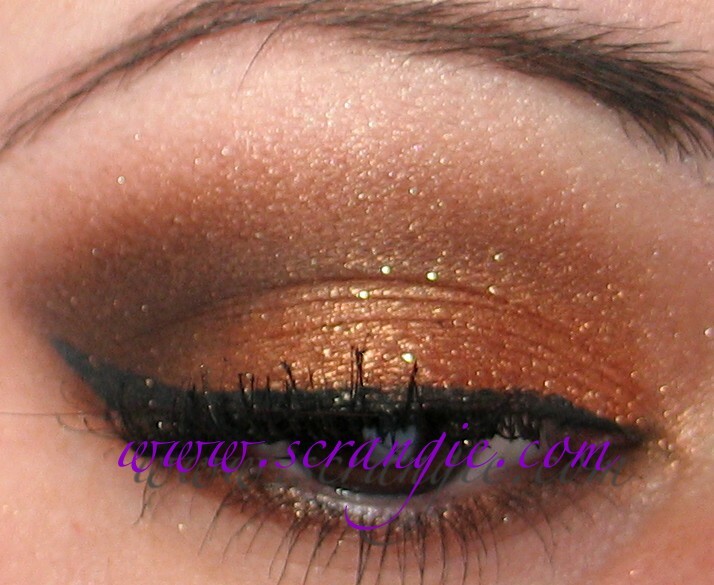 What a gorgeous sparkling golden eye!! Sarajean, I felt the same way! It's not very "3D", I was hoping it would be! Michelle, ooh, I am intrigued by that liquid eye tint... I don't remember it! EVB911, you know, I don't remember for sure! 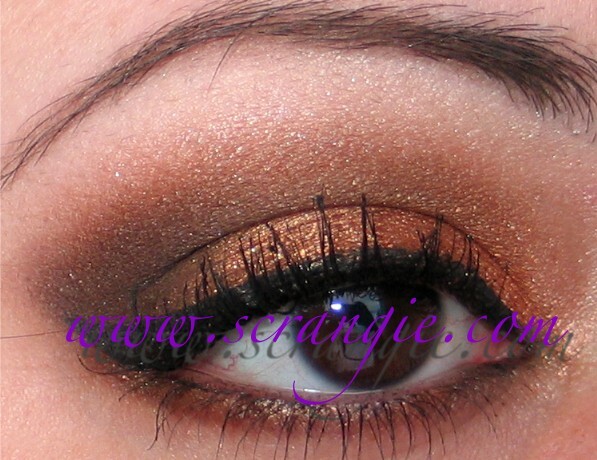 It was either the Too Faced Natural palette or MAC Copper Sparkle pigment with some brown in the crease... Wish I remembered so I could tell you! You have 1 of the most beautifuls eyes that I had seen! Really! God Bless u!